We've come to the end of the fifth season of The Walking Dead with a great finale. We consider season 5 to be the best season yet and the finale, one of the best of all time. A lot of us thought that there would be major character deaths. Instead, we got some reconciliation and a lot of forgiveness. However, we were sweating it out all the way to the finish line. Listen to our last episode of the season to find out how it all goes down. Click on the audio player above or you can find us on iTunes and Stitcher. You've joined us on this journey over the years and we'd love to thank you for supporting us and listening to our podcast. We'll be back this summer with our coverage of Fear the Walking Dead. Of course we'll also be back in October with The Walking Dead season 6. Have a great summer! 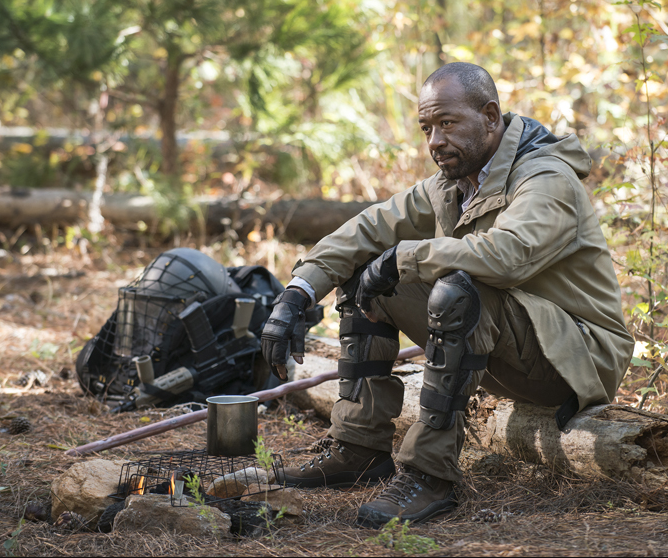 Morgan (Lennie James) makes a return in the season 5 finale.